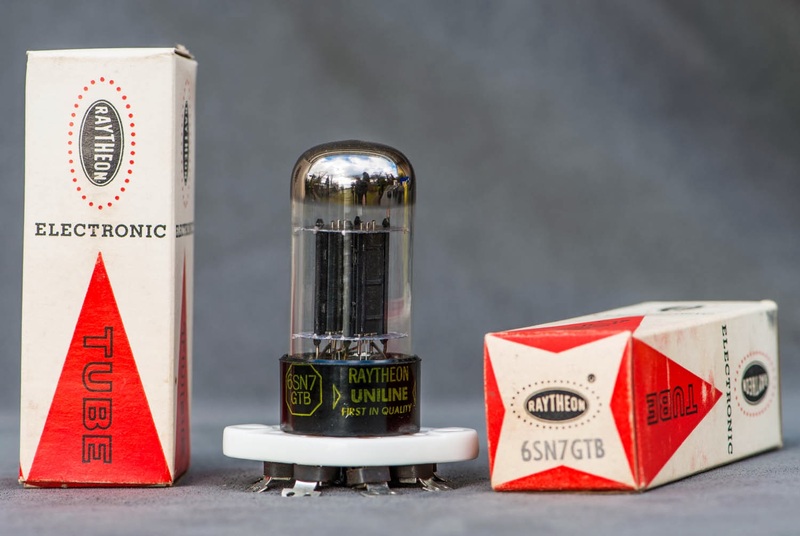 Most tubes which are presented within the Tube of the Month series are outside the mainstream and not well know to most tube amplifier builders. This month is an exception with the presentation of the 6SN7. 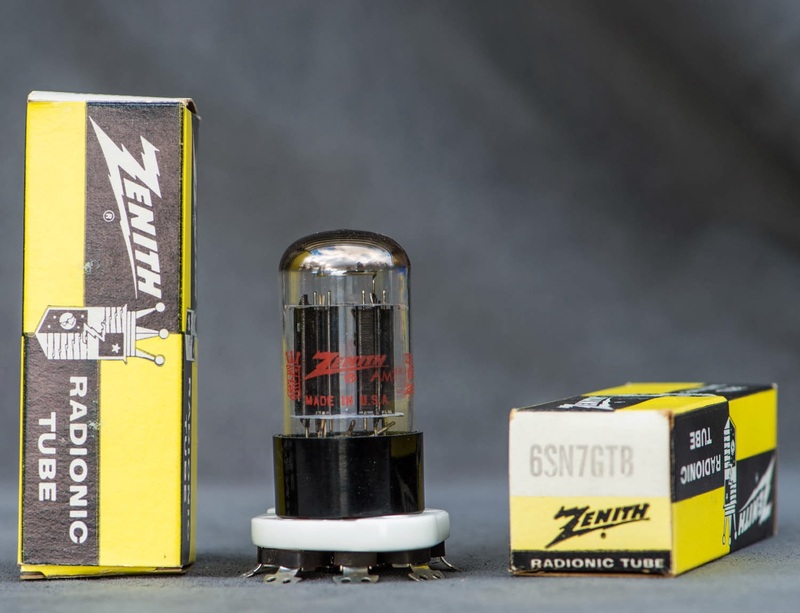 The 6SN7 got very popular among tube amp builders during the 1990ies. In fact a real hype developed around this tube. It was very often used as driver for the 300B which also had a big rise in popularity during that time. As usual with any type of hype, things got exaggerated and some people even thought the 6SN7 is the best tube ever with exceptional linearity and sound. Every hype reaches it's zenith at some point and draws some haters. Especially after commercial amplifier manufacturers jumped on the single ended DHT amplifier train, the 6SN7 was used on an even broader basis. 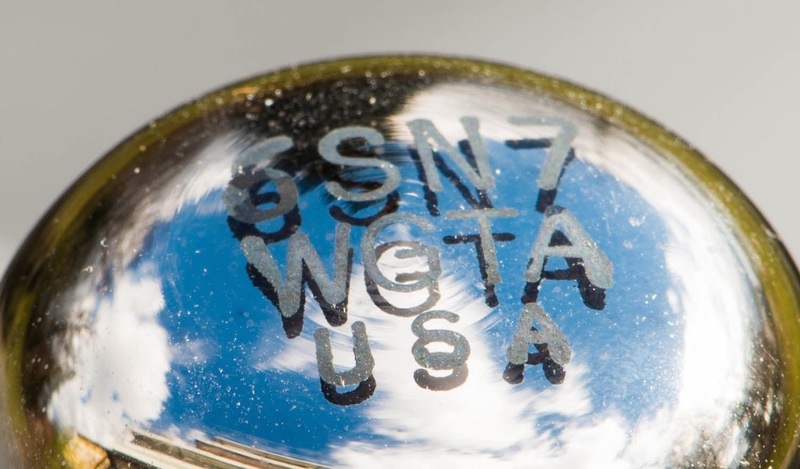 During the last decade the 6SN7 got some bad rap from the haters with claims of poor sound. Again overly exaggerated. While the 6SN7 is not the super tube it was claimed to be, it is not bad either. It deserves a spot in the Tube of the Month series. 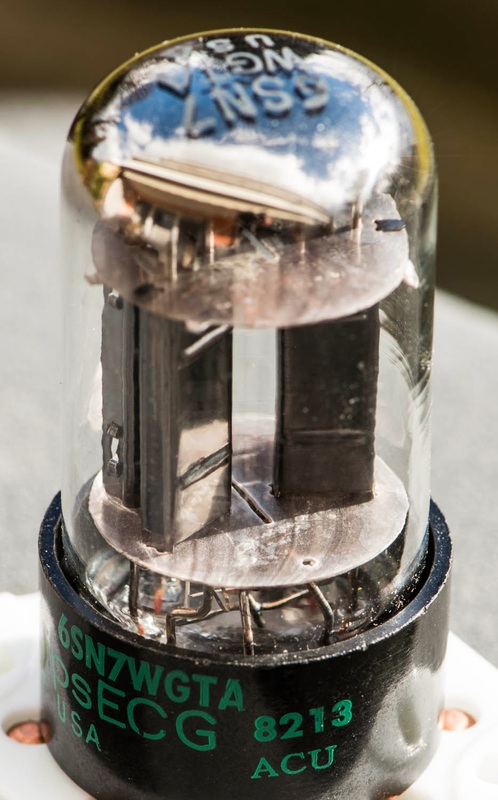 The 6SN7 is a medium mu double triode. 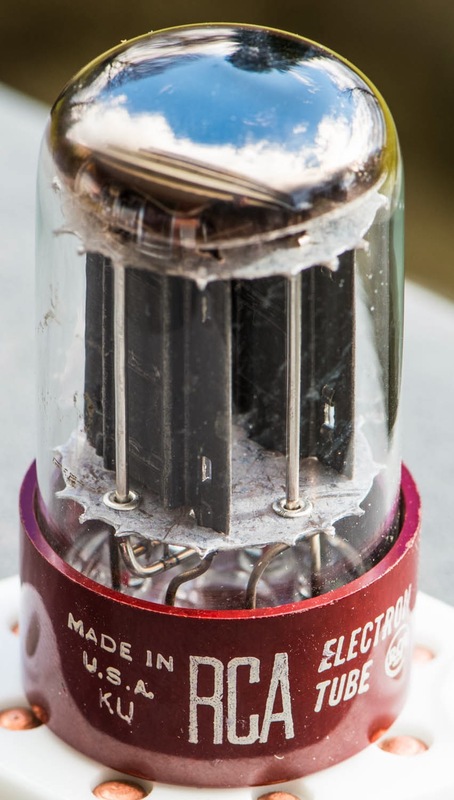 Two identical triode systems in a common bottle with an Octal base. 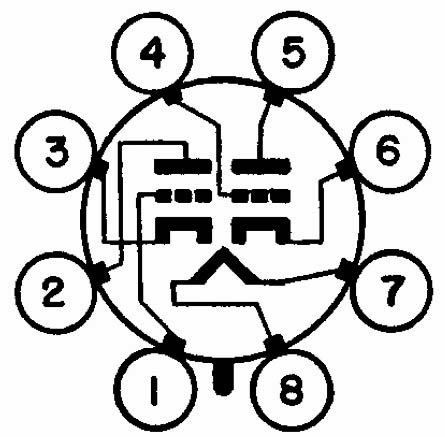 The pinout is shown on the left. It makes perfect use of the octal base since it utilises all 8 pins. Even pin 1 is used for an electrode. Pin 1 is usually reserved for connection to the metal shell for metal envelope versions of octal tubes. It is left unused in glass versions. 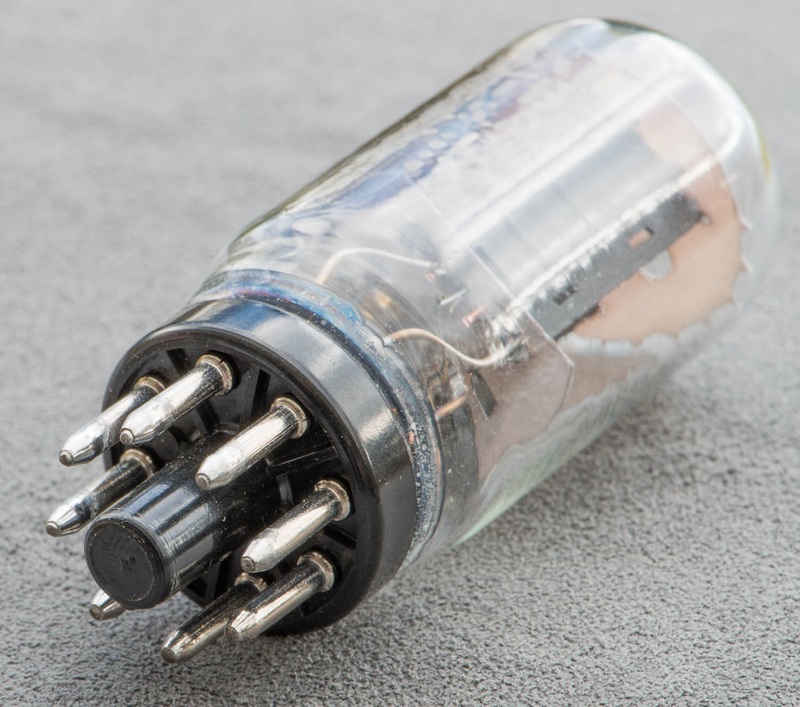 Since there never was a metal 6SN7, pin 1 is used for the grid of triode system 1. 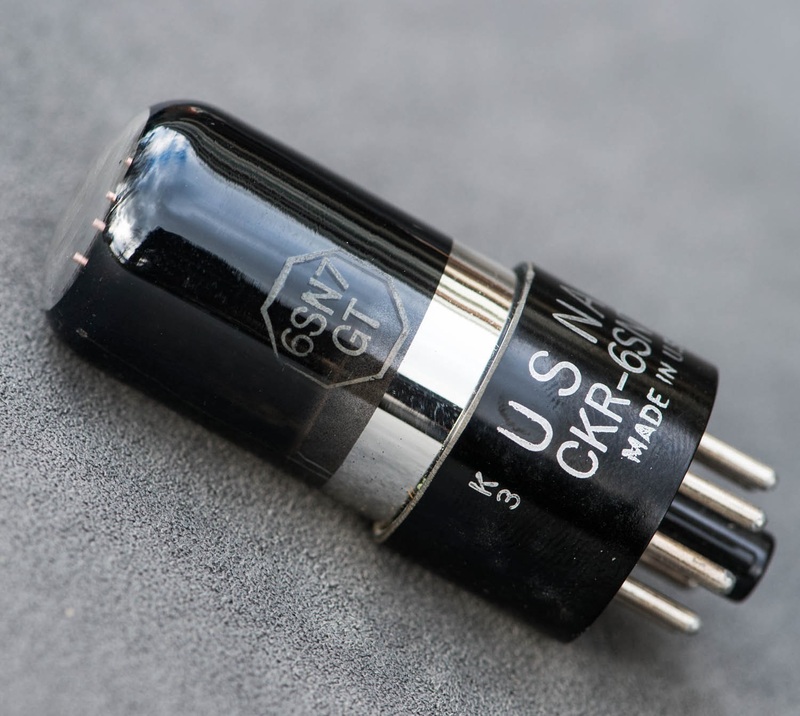 Each triode has a raw amplification factor of 20 at a moderately low plate resistance of 7700 Ohms. 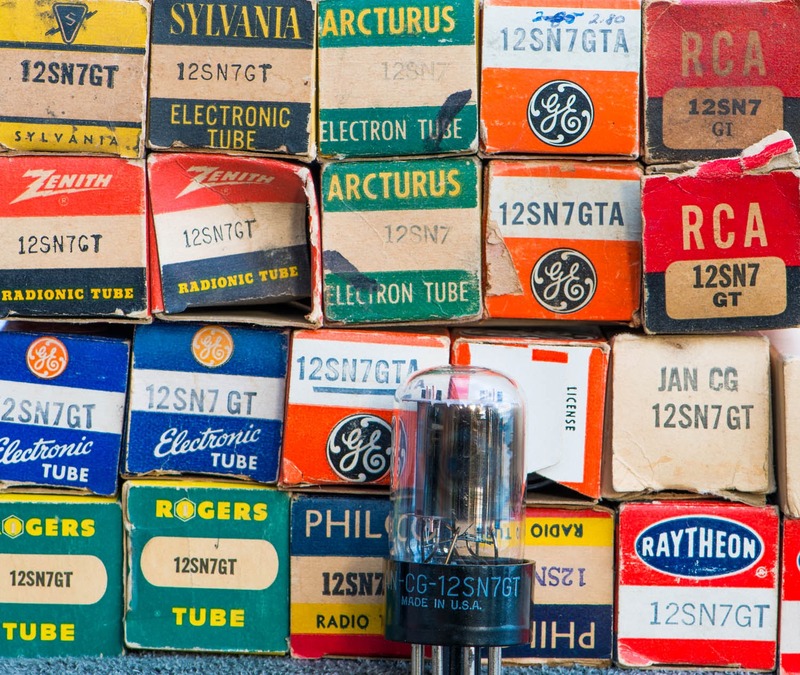 Complete data of the tube can be found in the General Electric data sheet. 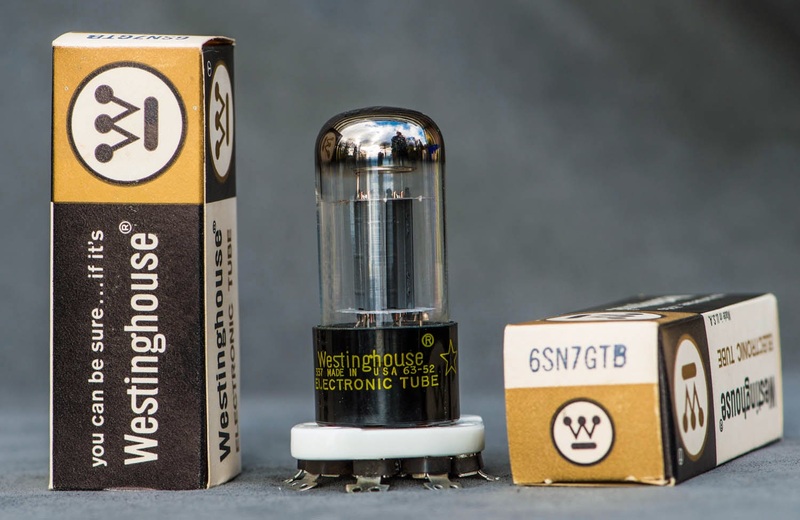 Since the tube was so popular, it got used in many amps and preamps regardless if it was really suitable or not. And this is probably the reason why the popularity dropped rapidly after some years. If used as a RC coupled driver for a 300B in a zero feedback single ended amp (which is a very common use of the 6SN7 these days) it's gain is not enough to stick with just a single driver stage. So most amplifier designers just add another 6SN7 stage in front, using the second system in the envelope. The problem with this approach is that the total gain of such a 3-stage design is too high, resulting in an overly sensitive power amp. 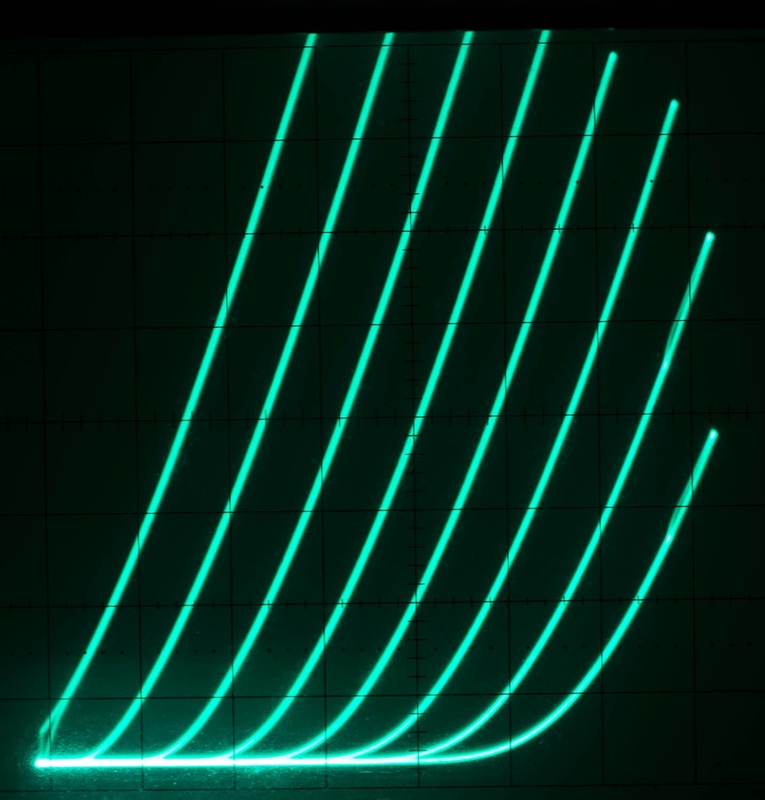 I have seen such designs in which the first stage was run at verily low voltages, around 50V and low current. Probably to deliberately add some 'tubey sound'. No wonder it received some bad reputation with many such amps out there. Great if it is used in a linear region and some substantial current (8-10mA) so it stays away from the knees. If used at the mentioned low plate voltage and at only a few mA the tube will contribute significantly to the distortion behaviour of the amp. It will also react sensitively to minuscule changes in operating points. And of course whenever the tube is rolled, each sample will sound differently. 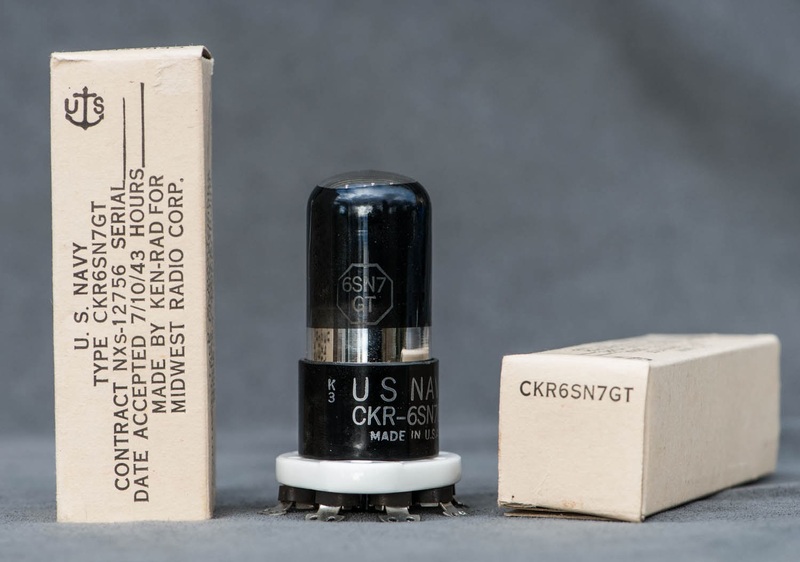 As mentioned above, the 6SN7 was never made with metal envelope as most other octal tubes, maybe besides some initial prototypes. So the tube is only available as 6SNGT type, the GT suffix indicating a glass tube. There is also no coke bottle version of this which would have been called 6SN7G. Other letters in the naming like the W on the photo above indicate a special ruggedised military version. Suffixes 'A' or 'B' at the end have been added as the tube specifications got changed. The original 6SN7GT had a maximum plate voltage of 300V and maximum dissipation of 2.5W per plate. 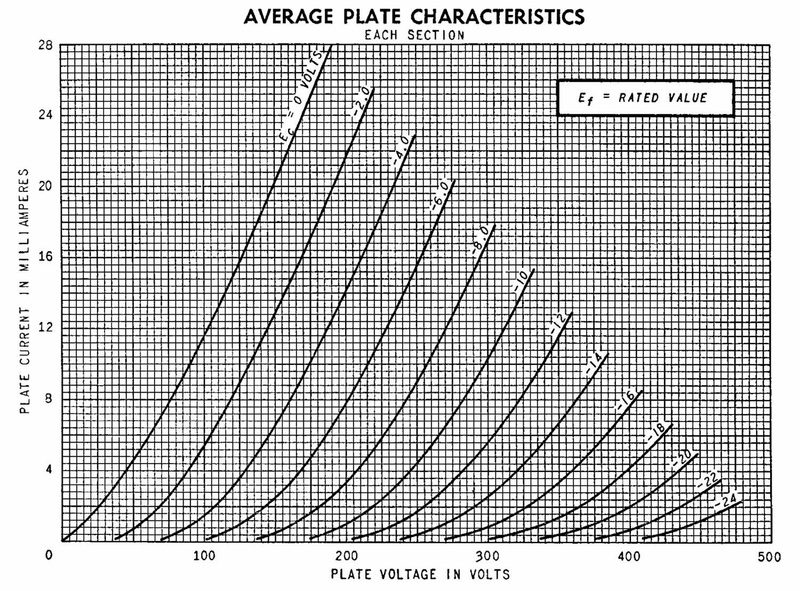 After World War II the tube got uprated to the 6SN7GTA with an increase of the maximum plate voltage to 450V and 5W plate dissipation (limited to 7.5W for both plates combined). This was necessary to enable the tube to be used in TV sets as oscillator and amplifier in the deflection unit. This is important to consider if you have an amp with 6SN7. If it operates the tube outside the limit of the original version. Make sure to only use 6SN7GTA or 6SN7GTB. The last upgrade to the 6SN7GTB only changed the heater. In the 'B' version the heater has a controlled warm up time to enable the use in series connected heater strings. Again a requirement for TV sets. It was followed by the 56 and 37. These were initially also made with the beautiful globe glass. 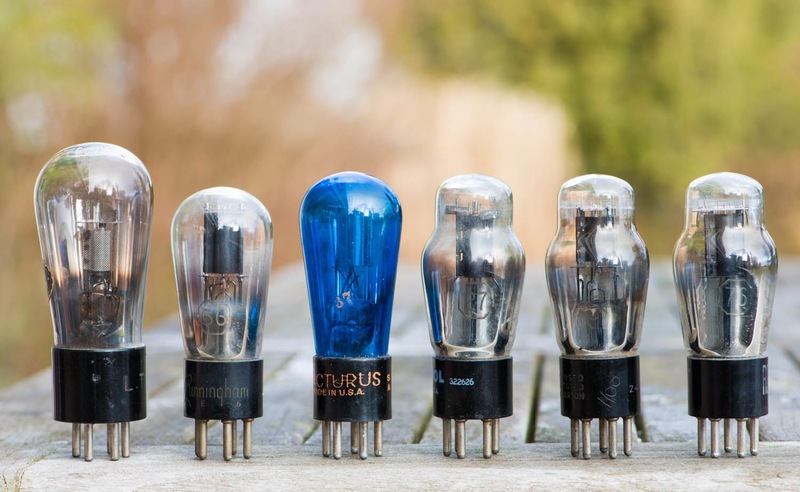 The second tube is a Cunningham 56 ans the blue one a Arcturus 37. With the jump from 56 to 37 the heater was changed from the 2.5V of the 27 to the most widely used 6.3V heater voltage. This had the advantage of lower current. Next to the Arcturus are ST shaped 'coke bottle' 27 and 56. The last tube in the row is the 76. All these tubes had the 5 pin UX5 base. While the development from the 27 to the 76 only brought moderate changes in amplification factor and transconductance, the 6C5 made the jump to a mu of 20 which is the same as that of the 6SN7, but it had a bit less transconductance. 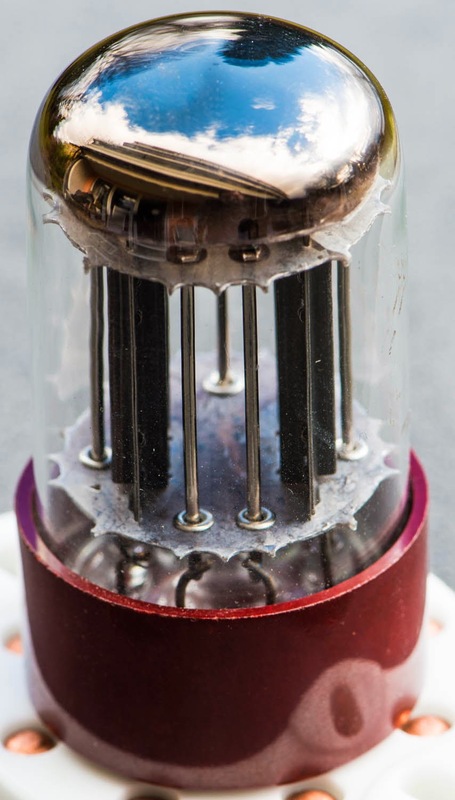 The 6C5 was not very successful, some of the early 6C5s were just internal triode wired 6SJ7. 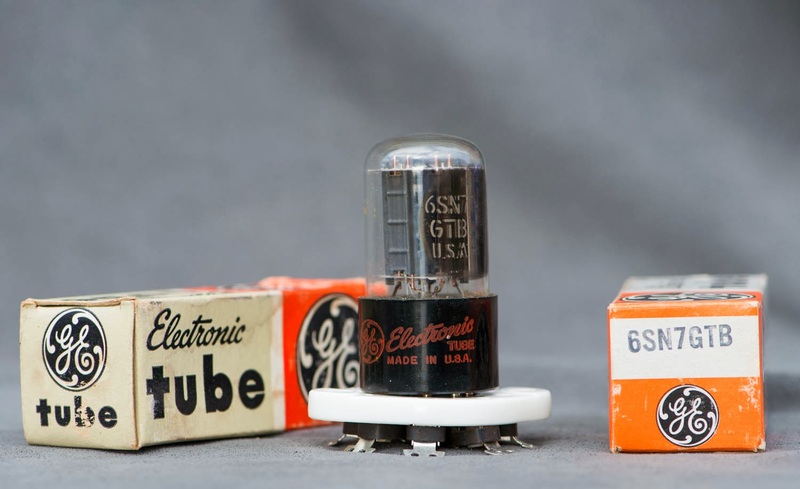 The 6P5 (second tube in the photo above) had a lower amplification factor again, similar to that of the 56. 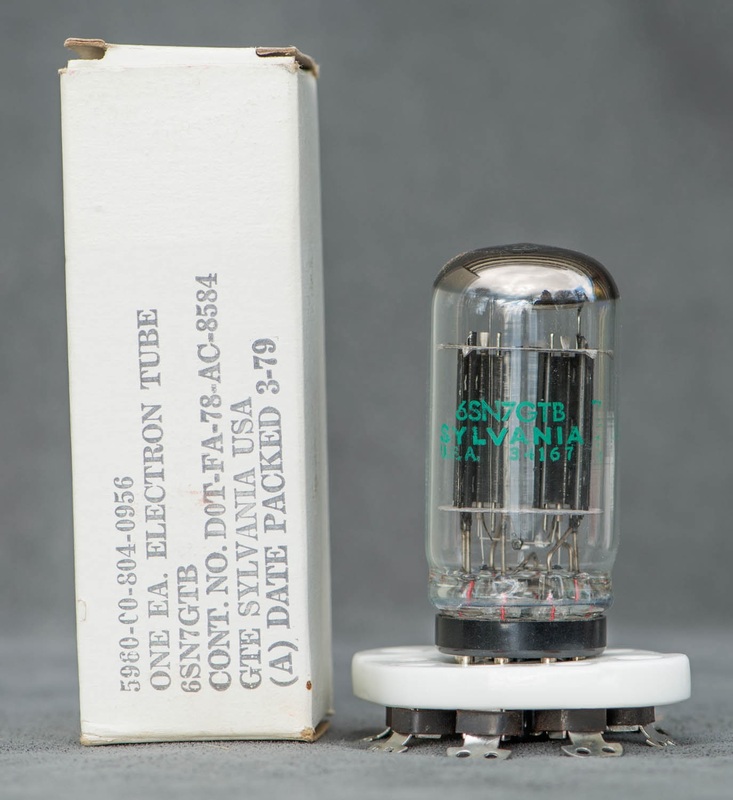 The first successful tube of these octals was the 6J5, which was already covered in it's own Tube of the Month post. The three tubes on the right are variants, a 6J5G, a 6J5GT and a metal 6J5. None of these tubes made use of all pins of the octal base. 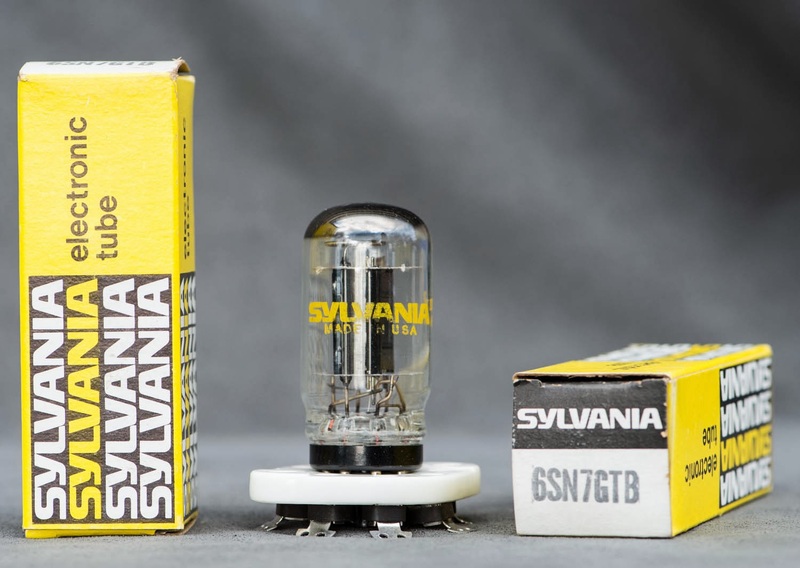 The 6SN7 packs two triode systems into one bottle, both with the same specs as the 6J5. 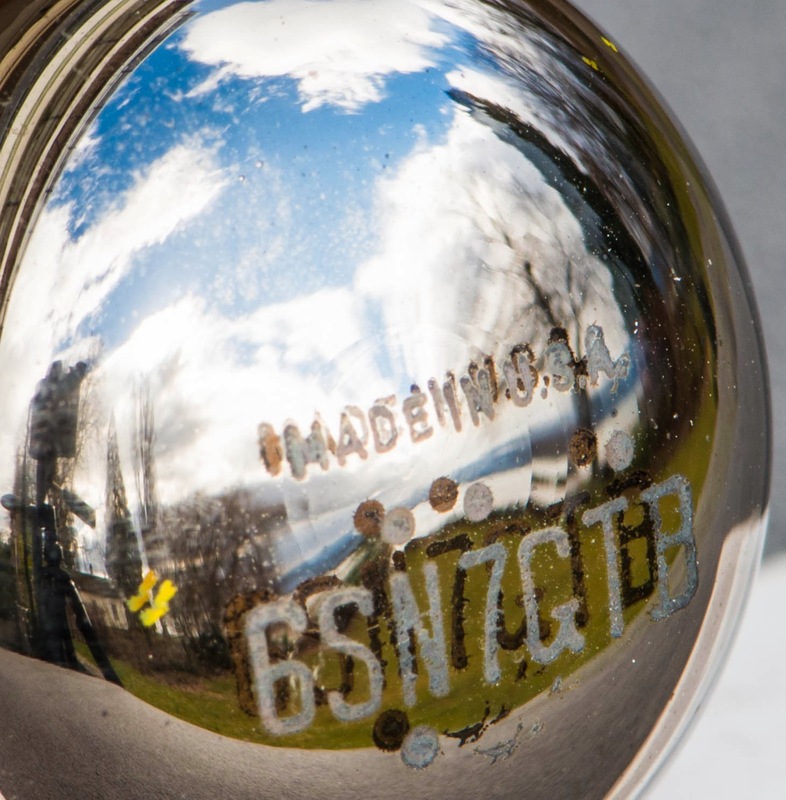 There had also been some variants with grid caps like the 6C8 and 6F8. Most of the tubes mentioned above are very interesting and will be covered separately in future Tube of the Month posts. These are only a few of the abundance of different 6SN7s which had been made. With all those variants, the 6SN7 is a tube rollers dream, or nightmare. 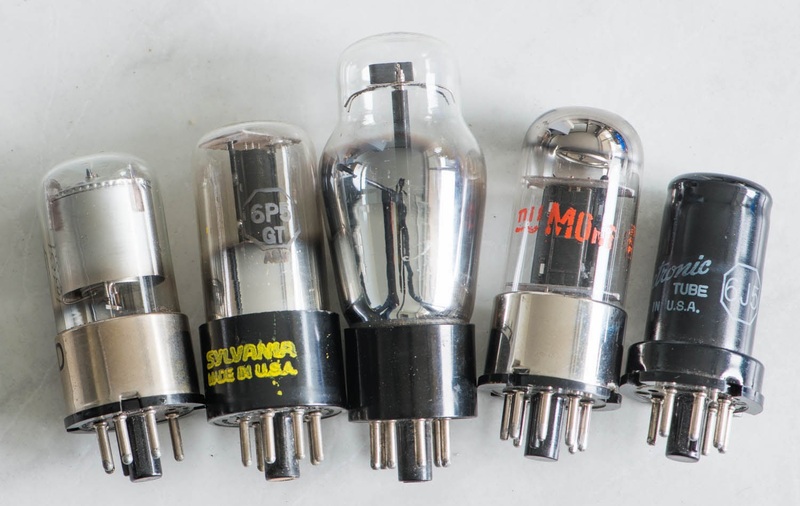 Some people spent years hunting the perfect 6SN7 for the amplifier. Some specific variants skyrocketed in price while others remained reasonable. While there are differences in performance, these do not justify the price difference which can bee seen on the market. If used reasonably well, any of these will give good performance without the need to worry if the tube should be rolled. The tube has a red coloured base which gave the series it's name. It had a guaranteed lifetime of 10000 hrs. But this was probably just reached since it's specs were down rated from the 6SN7GTB. 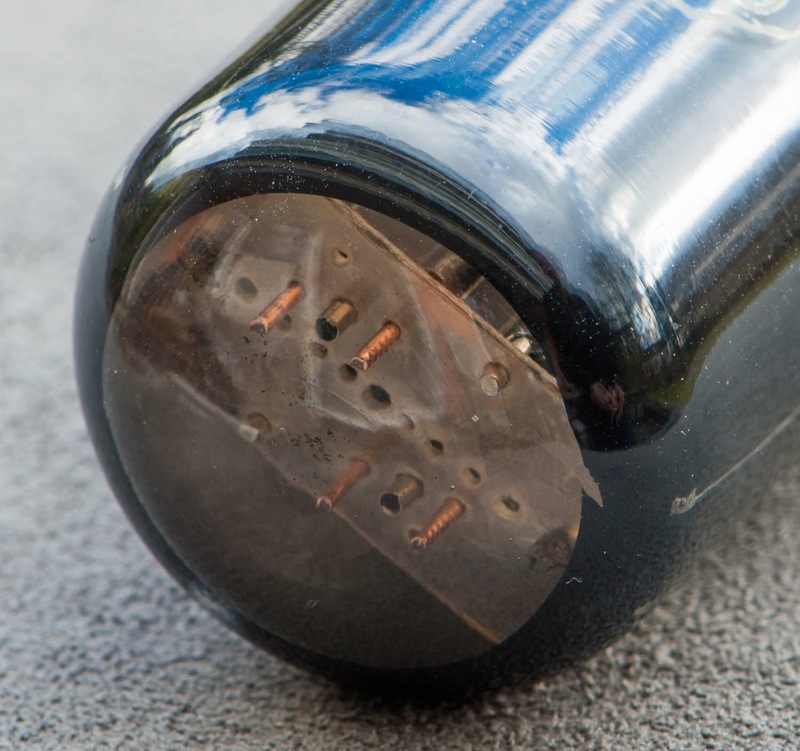 The 5692 had extra bracings inside to make it usable in harsh conditions where it is exhibited to shock and vibrations like in space applications. Wether this is of any advantage in an audio application is questionable. A beautiful tube nonetheless especially with the unique 'ox blood' coloured base. When the prices for 6SN7s started to set off in the 1990ies, smart DIYers used the 12SN7 instead. Simply provide a 12.6V heater instead of the 6.3V and the amp can use these. For a long time prices of the 12SN7 were very low. But these had also been discovered by the mainstream at some point and cannot be found at rock bottom prices any more. They are still reasonably priced though. I did use the 6SN7 in the line section of the Octal Preamplifier Mk1. There it works quite well and provides a reasonable gain when used with a 4.5:1 step down line out transformer. 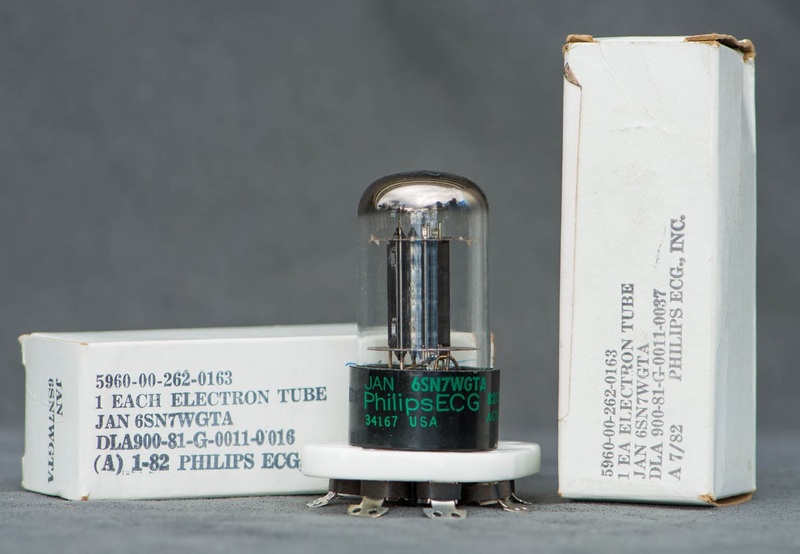 The next use of this tube will be in the Variable EQ preamplifier for Shellack reproduction. Hi Thomas, there is also the electrically equivalent 6F8G which is a nice budget option with adapter. Nice article Thomas, as usual. Toshiba (or "Tokyo Shiba-ura Electric" as it was called then) also made some nice 6SN7 from the 1960s. Quite similar to the Telefunken 6SN7 if you have seen those. If it needs 6P5s, assuming that the current ones test weak, or are gassy, or shorted, I would just get some new 6P5s. Even if 6J5s would work in place of the 6P5s I doubt whether you would notice a performance difference. There are tricks to improve the output but swapping 1st audio tube types doesn't usually do much in a radio. Knowing the way some radio manufacturers operated in the 1930s and 40s one of the 6P5s might be wired as a detector or AVC diode. 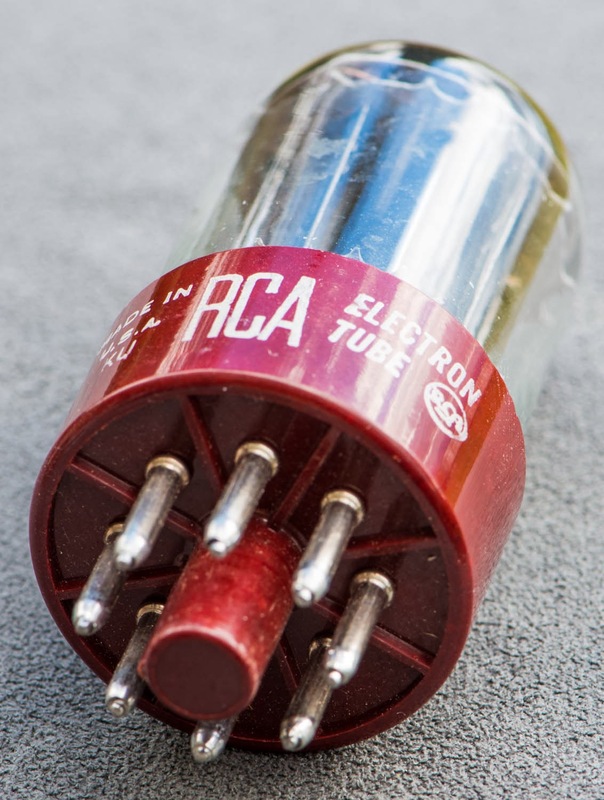 Sometimes they would do this just to add an extra tube rather then using something like a 6Q7 triode double diode, adding a 6H6 double diode was another scam like this. Hello Thomas; Very interesting about the 6SN7. Would you consider doing a tube of the month on it's Predecessor the 6F8G? I don't think you have given the full picture re the 5692. It has a remarkable, 3D soundstage, which is why they go for $150, new in the box.